These days, Kerry Noonan teaches Champlain College students about folklore and mythology. But horror fans might just recognize the professor for her role in a cinematic myth. Back in 1986, Noonan played one of Jason Voorhees' victims in Jason Lives: Friday the 13th Part VI. That film celebrates its 30th anniversary this year, and Noonan will appear at a screening on Wednesday, September 21, at ArtsRiot in Burlington. It's part of an ongoing series called Cinema Casualties, which is "dedicated to screening awesome, trashy, old-school horror movies," according to its Facebook page. "One of my regular audience members goes to Champlain and has had [Noonan] as a teacher," says David Zeidler, 35, who runs the series. "It came together really fortuitously." Jason Lives will be Cinema Casualties' 11th screening since Zeidler launched the series at ArtsRiot in July 2015. The movies are free and usually attract "in the neighborhood of 30, 35 people," he says, many of whom continue to share their passion for fright flicks through a Facebook group. "The audience is pretty consistent and pretty loyal," Zeidler says. "It's a fun kind of loose atmosphere." Past offerings have included the 1981 summer-camp slasher Madman; The Beyond, from Italian "godfather of gore" Lucio Fulci; and an Italian zombie film called Burial Ground: The Nights of Terror ("that movie just kills every time," Zeidler says approvingly). Growing up in Connecticut, Zeidler would catch "retro horror movie screenings" at venues like New York City's now-defunct Pioneer Theater. Later on, he attended film school and worked at Fangoria, the venerable magazine devoted to the genre. When he came to Vermont three and a half years ago, Zeidler missed the opportunity to hang out with fellow fans. "This town is kind of tailor-made for that kind of thing, but I wasn't really seeing any events like this," he says. So he approached ArtsRiot co-owner Felix Wai, whose "venue and ... vibe lined up with what I wanted to do," and created Cinema Casualties. The series remains a passion project, says Zeidler: "I haven't made a dime off it." These days, the Green Mountain Gore Society also puts on Burlington horror screenings, concentrated in October, but Zeidler says he's careful to schedule Cinema Casualties on different nights so as to "complement" rather than compete. He's currently working with Mariah Riggs, director of Main Street Landing Performing Arts Center, on planning a Halloween double feature for that venue. At each screening, Zeidler does a quick preamble and epilogue and runs "an old-school horror movie trailer reel." Are audiences allowed to get irreverent about the films? Absolutely. Zeidler appreciates horror cinema as art, he says, but for this series, he seeks out movies that are "kind of trashy and silly, which I think is better for an audience setting." 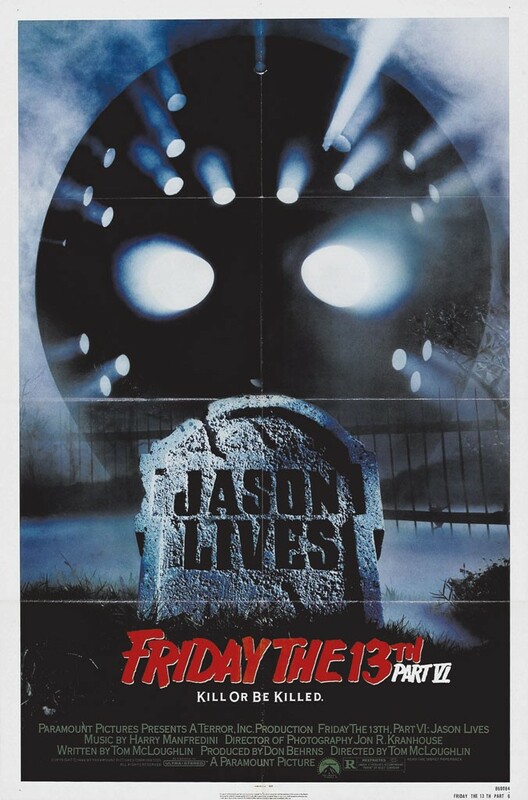 Take Jason Lives, in which that nemesis of nubile camp counselors is resurrected from his grave by a bolt of lightning. The movie marks the "moment [in the series] when Jason went from being a man to being sort of ... an unkillable machine," Zeidler points out. "It got increasingly ludicrous but also totally endearing." "As a horror fan, you have to be able to separate great filmmaking from schlocky, entertainment-based filmmaking and appreciate both," Zeidler concludes. "With horror, the thing that's great about it is that a movie can be bad and also be wonderful." And Cinema Casualties offers fans a place to celebrate the good, the bad and the gory.